When you need a lawyer, you want to know that you can talk to someone you can trust. You want a lawyer who will listen to your needs, and help you understand the legal issues surrounding your case. You want someone who understands your case – someone who has been there before. 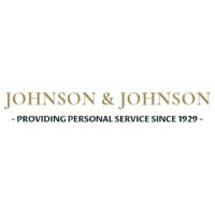 Johnson & Johnson, Counsellors at Law, have been practicing residential and commercial real estate law, criminal defense, civil and commercial litigation, estate planning, and divorce law in Morris County since 1929. That's more than seventy-five years of handling cases just like yours. We take a responsive approach to our clients' needs, providing legal services individualized to your specific problem. We are proud of our accomplishments in the community. Our law firm has been here for your friends, neighbors, and even your parents and grandparents. We've successfully handled many cases, just like yours. Contact us at the general practice law firm of Johnson & Johnson when you need to talk to a New Jersey DUI attorney, a Dover real estate attorney, a Morristown estate planner, or a Morris County litigator - we can meet all these diverse needs. We'll schedule a free consultation. We'll listen, and we'll help you make sense of things. We want to continue our proud tradition. Let us show you why.